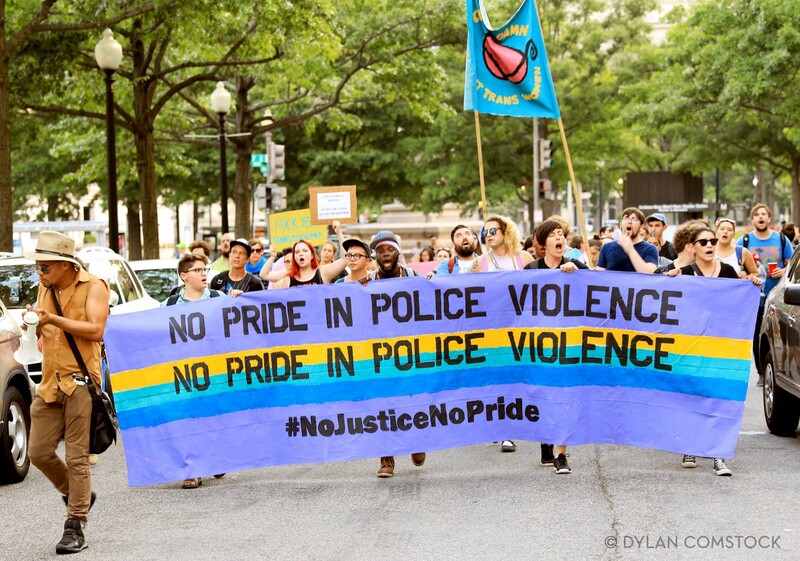 No Justice No Pride (NJNP) is a collective of organizers and activists from across the District of Columbia. We exist to fight for trans justice and to end the LGBT “equality” movement’s complicity with systems of oppression that further marginalize Trans and Queer individuals. Our members are black, brown, queer, trans, gender nonconforming, bisexual, indigenous, two-spirit, formerly incarcerated, disabled, and white allies. Together we recognize that there can be no pride for some of us without liberation for all of us. No Justice No Pride is an ad-hoc coalition of activists that seeks to end the LGBT movement’s complicity in systems of oppression that harm LGBTQ2S communities.